I take you it you found your way to my blog after reading my devotional post from Proverbs 31 ministries. Thanks for clicking on the link to get the free download! Simply enter your first name and email in the signup form below. You will receive the download after confirming your email and you will also receive blog posts from me in your inbox every now and then! I hope the devotional you read over at Proverbs 31 Ministries was a blessing to you and that you were encouraged to love well even when it’s not easy. Everyday, I’m challenged just like you to love well and loving well is not always an easy thing to do! 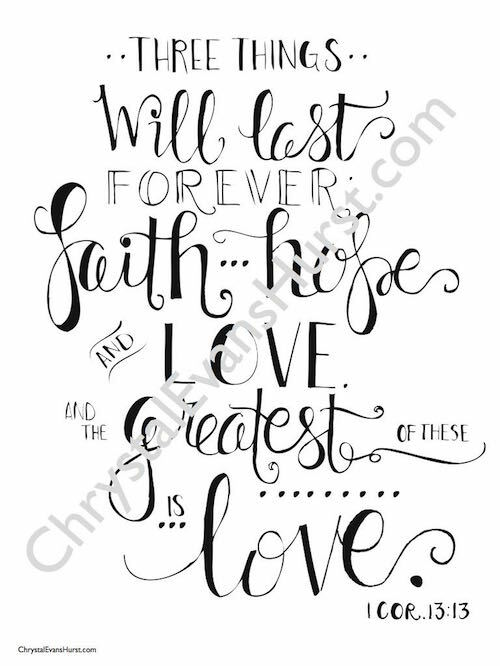 That’s why I had this free printable designed for you and for me – to help us to remember that love matters. If you’d like to get to know me a little better, you can read today’s blog post or check out some of my most popular blog posts. I’ve listed a few for your perusal below. Glad you decided to pop over to my blog. [PODCAST] #043 – What Does It Mean to Love Your Man?